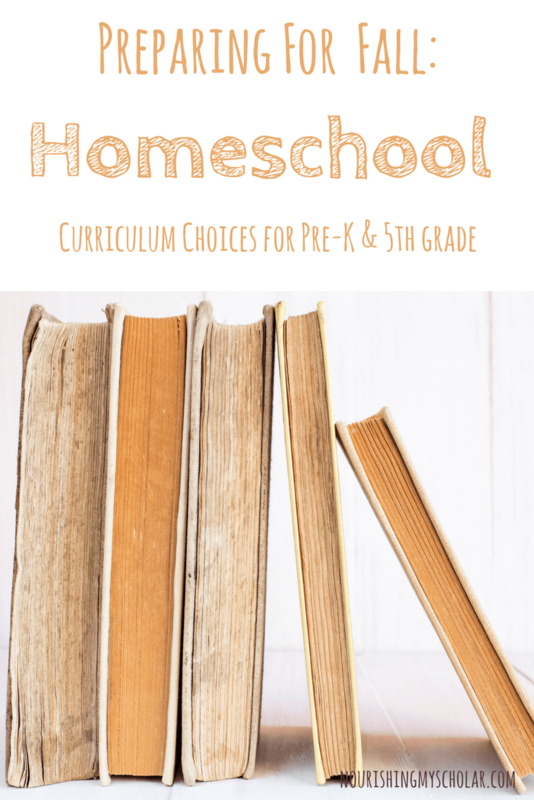 Preparing for fall in the homeschool world means you are probably looking at all of the curriculum choices available to you. We are not a box curriculum type of family. Don’t get me wrong, we use curriculums…just not in the traditional sense of starting at chapter one and continuing until the end. We love to tumble down rabbit holes of learning, get lost in forests of knowledge, and sometimes we take long detours along routes unknown. Many times we end up on opposite ends of the map and completely turned around. It’s never perfect, but we love learning. We always have fun and I strive to keep joy in our homeschool adventures. I invite you to read about our eclectic curriculum choices last year. We will be using many of the same resources with some changes and a few additions. Keep in mind that this is what works for our family and our children’s learning needs. I have two intense kiddos that absorb information like sponges. It can be difficult to keep up with their asynchronous natures while providing for their sensory and learning challenges. Our homeschool is constantly evolving. I’ve found that I must be willing to evolve and change with it. 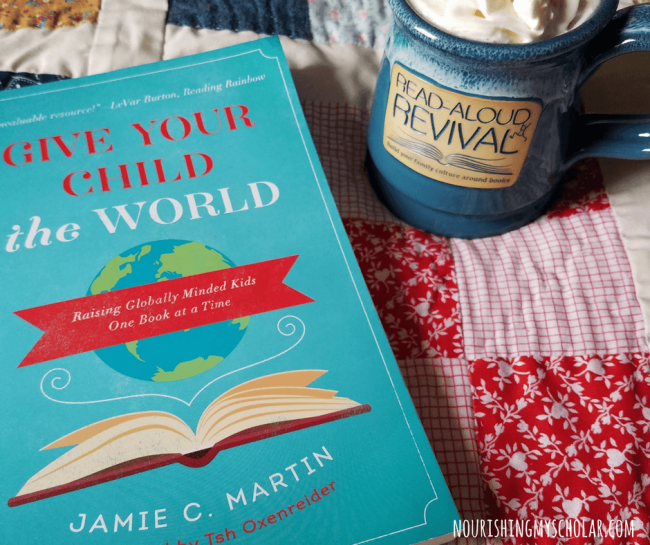 I always incorporate our children in our homeschool decisions. Having a rhythm in place that the children help create, while also being flexible, is key to maintaining some sense of order in our chaotic days. My friend Kara turned me onto Bullet Journaling this year. You should definitely pop over to her site and check out her recommendations. Let’s face it, my brain, like most mom brains, is like a desk top computer with 32 tabs open…constantly! This simple yet effective planning tool is totally keeping me on task this year with pediatrician appointments, ballet practice, and guitar lessons…plus those daily to-do lists, blog stuff, book lists, and all of the random thoughts and ideas I have swirling around my mind. My raspberry colored journal has been my saving grace many times over. Books, books, and more books! 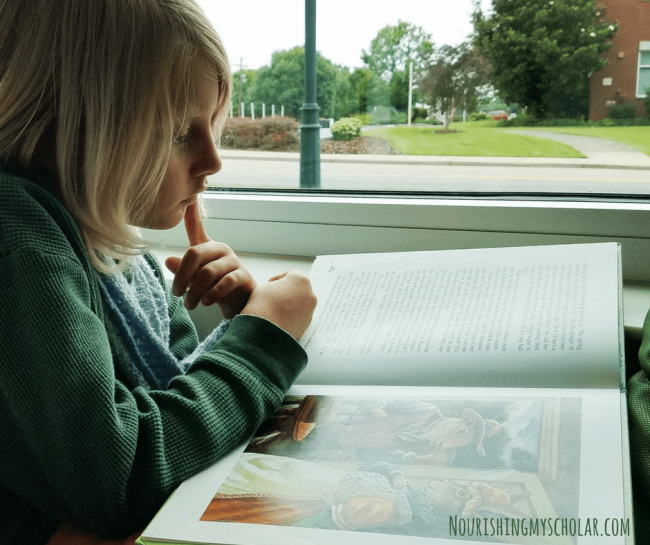 Fantastic read alouds and seasonal picture books are the cornerstones of our homeschool. Weekly library visits are also a must. Plus the children’s current interests and obsessions always play a role in how our days and weeks flow. Everything else “curriculum” wise, except math, follows along with our book choices and interests. P.S. Audio books count too! The Brave Writer lifestyle of poetry tea times, free writes, and writing projects is a big part of our weeks. I plan to continue with these in our new school year. I love that the creator of Brave Writer recommends starting with one thing. Just one thing, folks! For us, our one thing is reading. I like to start our morning with a read aloud. It just seems to set the tone for the rest of the day. For us, reading is a treat much like brownies! I find homeschool is always better when there are treats and a spoonful of joy mixed in, which is what Brave Writer is all about! Our son has expressed a desire to improve his Grammar and Spelling. He has big plans for writing a book. So, we will also incorporate MCT Language Arts Level 1 and the All About Spelling program. Our daughter is hyper-focused on learning to read. She learns so differently than her brother, but with the same intensity. Isn’t it interesting how different children can be? So this year I am starting her with All About Reading. We also grabbed him the Growth Mindset Journal this past summer and he is happily filling it out each week too. Math is fun for him. He gets excited about fractions, and thrills at converting units of measure. But it’s geometry that he loves the most. Smartick math is a fun math app that both children enjoy playing every morning on their tablets. 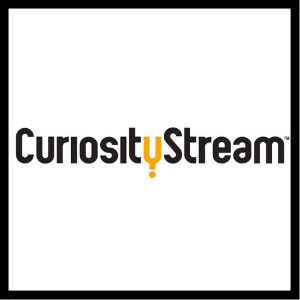 It presents new concepts in fun ways while also strengthening earlier math subjects. Math Geek Mama is a fabulous resource I use for math printables and math games if I want some extra help reinforcing a topic in enjoyable ways. Math Games such as Prime Climb, Sumoku, and Ideal 4 Way Countdown are a magnificent way to practice those math facts. Plus games help keep math fun! 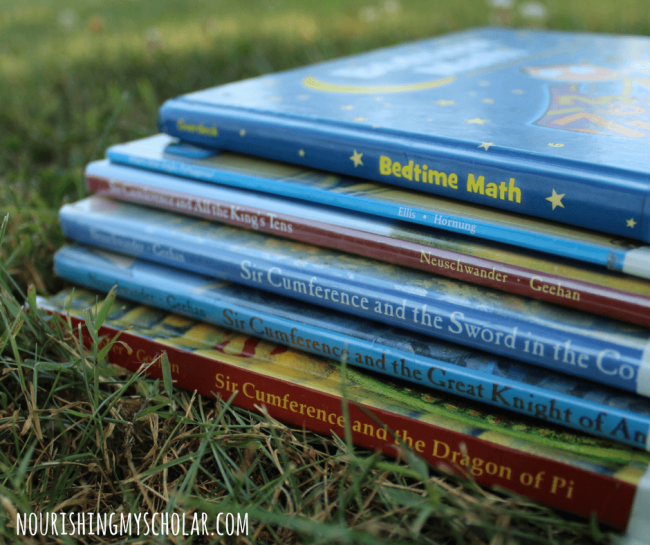 Math stories like the Sir Cumference Series, Bedtime Math, and the Adventures of Penrose the Mathematical Cat are just a few of the great math books that our children like to incorporate into their days. Our son has become a history buff and has fallen in love with the different time periods. 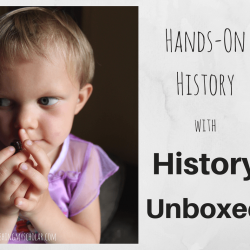 This year we are combining our history resources of Horrible Histories, History Unboxed, and the “Who Was” Series to cover American History. We will also use our hands-on Pin It Maps USA and U.S. History Maps Bundle to dive deeper into our nation’s history. Did you know there are games that can enhance history studies? History games like Timeline, Catan Histories: Settlers of America Trails to Rails, or Professor Noggin’s History of the United States are all fun additions to our American History studies. Our geography studies will overlap our history, in that we are using Pin It Maps to explore the world as well as Beautiful Feet Books Around the World with Picture Books, Around the World Stories and Give Your Child the World: Raising Globally Minded Kids One Book at a Time. 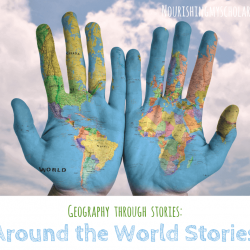 We love reading stories from around the world and then incorporating hands-on activities like cooking or games to help solidify what we’ve learned about other countries and cultures. This brings us to cooking. Both children love getting in the kitchen and trying the new recipes from Around the World Stories. 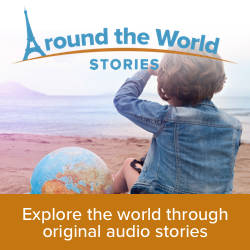 This is a monthly subscription service for 52 audio stories about different children in one of 13 countries in Europe. Cooking is an amazing addition to geography. It’s great for incorporating life skills too. The children are also big fans of the cooking show Top Chef Jr. and always want to recreate their cooking challenges. 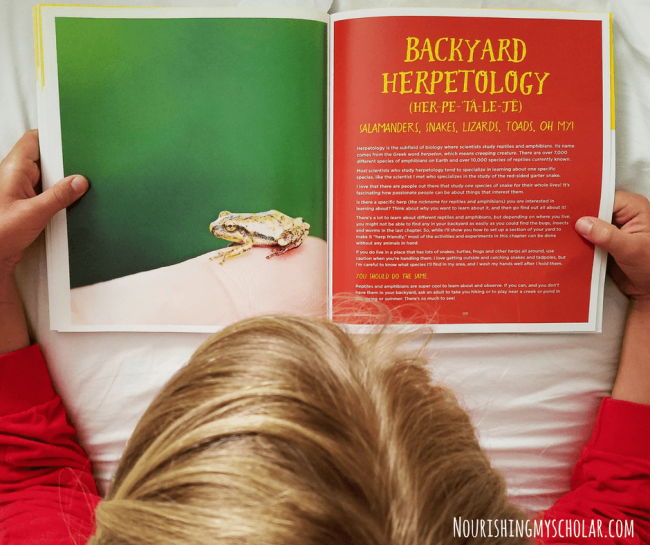 Horrible Science, Crash Course Kids, and STEM books such as 100 Backyard Activities and STEAM Kids are all on our agenda this year. We used all of these last year with great results. Tinker Crate is a science subscription box favorite that will continue to make a monthly appearance in our home. Nature Hikes and Nature Study are a must. 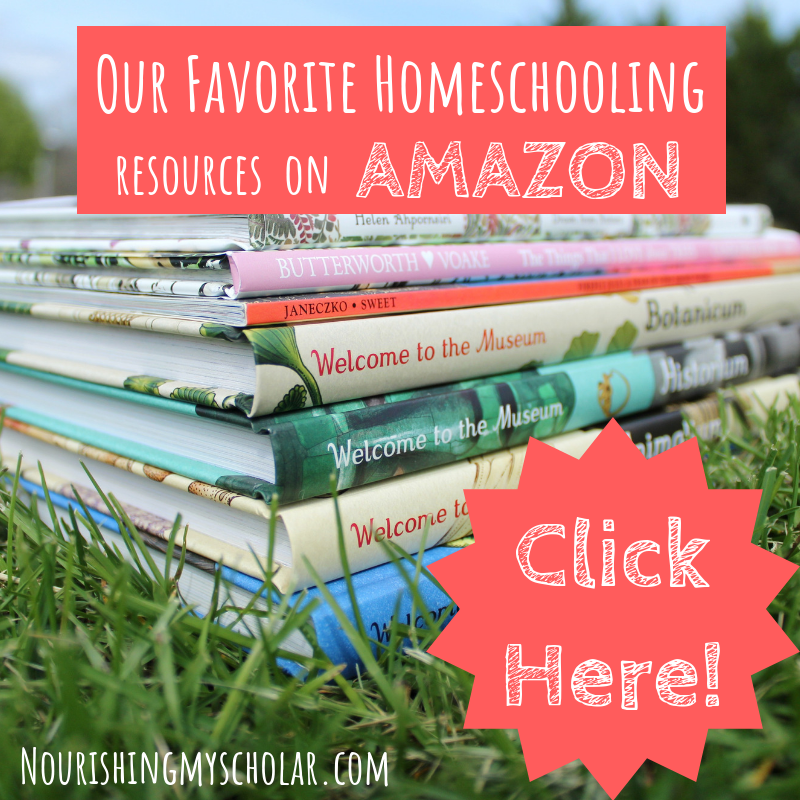 It’s hard for children to bounce off the walls when there are no walls to bounce off of…getting out in nature is vital for a happy homeschool and mom! Science Games such as Hit the Habitat Trail, Wildcraft, and Cardline Animals have all become favorites over the summer and help strengthen those plant and animal science facts. Our son takes online guitar lessons with Gentle Guitar while both children enjoy Squilt, a music curriculum for pre-school through middle school. It stands for Super Quiet Uninterrupted Listening Time. 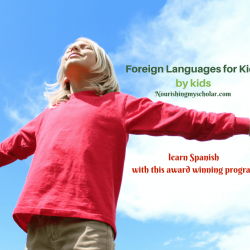 Both children are learning Spanish with Foreign Language for Kids. This has been such a wonderful program and a far better fit for our family than any other foreign language curriculum we’ve tried! 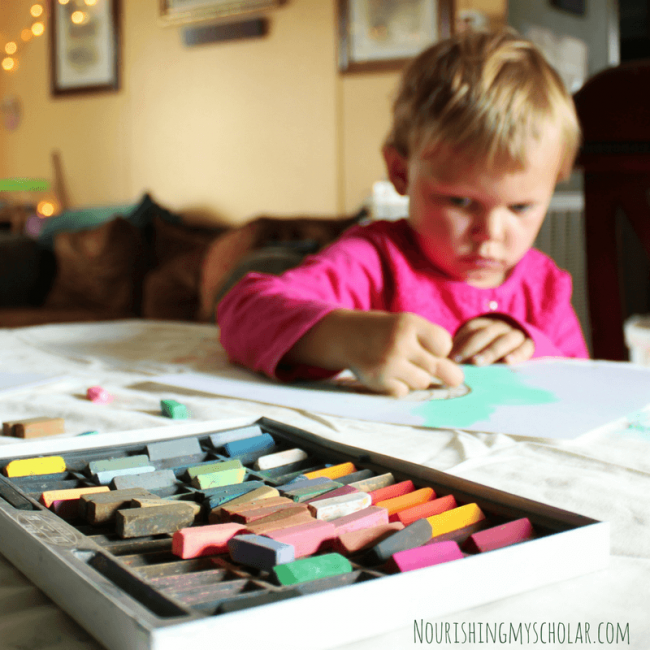 Both children enjoy art videos with Chalk Pastels for Kids and Mixing with the Masters. I love that the children’s art usually reflects their interests as well. For example, when the kids were obsessed with the ocean and read ALL of the Ocean Books, they also enjoyed Seashore Chalk Pastel videos. The same is true of our son’s history obsession too. When studying the Medieval England the children also enjoyed Medieval Chalk Pastel Video Art Course. 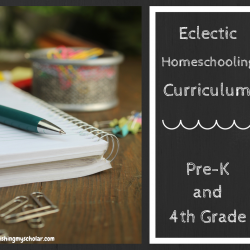 If you’re new to homeschooling or you’re feeling overwhelmed, remember to start with one thing! Choose the thing you feel most comfortable with and do that. Then as you feel more comfortable add another resource or subject. Eventually, you’ll find yourself building layers of learning and a routine that works for you and your family. Now tell me, what subjects are you most excited about studying this year? It is so important to remember we teach the child, not the book or resource or curriculum 🙂 I’m glad you’ve found the beauty in homeschooling—freedom and a lifestyle of learning. Awe, thank you! Those rabbit holes of learning can be intense and adventurous, but we always come out of them with more knowledge than before. I wish I had knew to start with one subject and build from there as I tried to do it all at once and Charlie ended up overwhelmed and back in public school which doesn’t mean I still don’t teach Charlie at home as he has learning disabilities so I enhance his school with lessons I put together especially in math and reading. So the sites you mentioned will be a huge help. It’s easy to get overwhelmed because there is so much to choose from. It has happened to all of us. 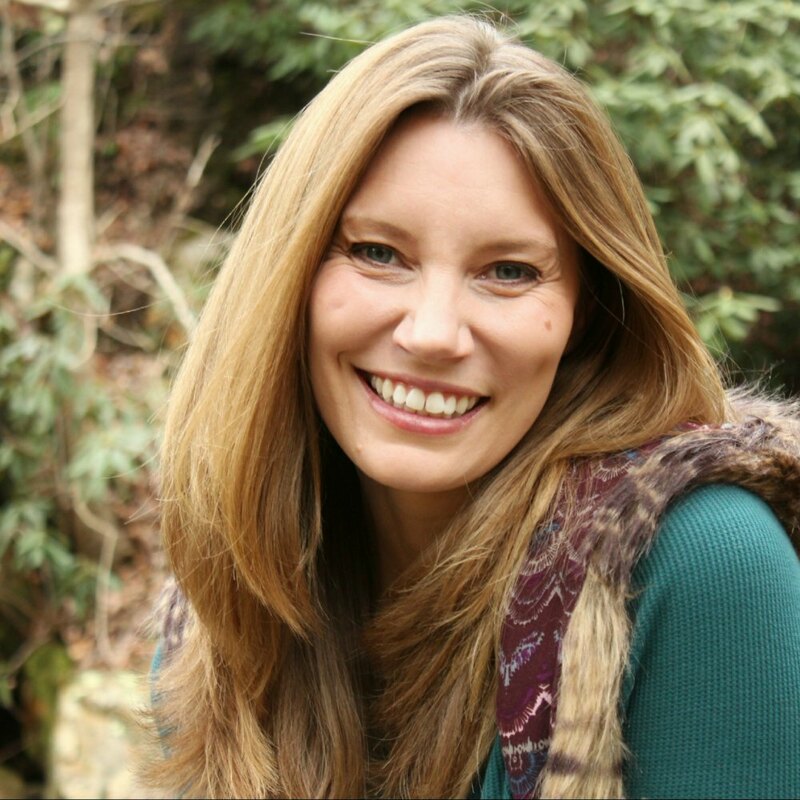 Starting with one thing and slowly building layers of learning is a great way to start out because then you can really find your family’s rhythm and your child’s learning style.